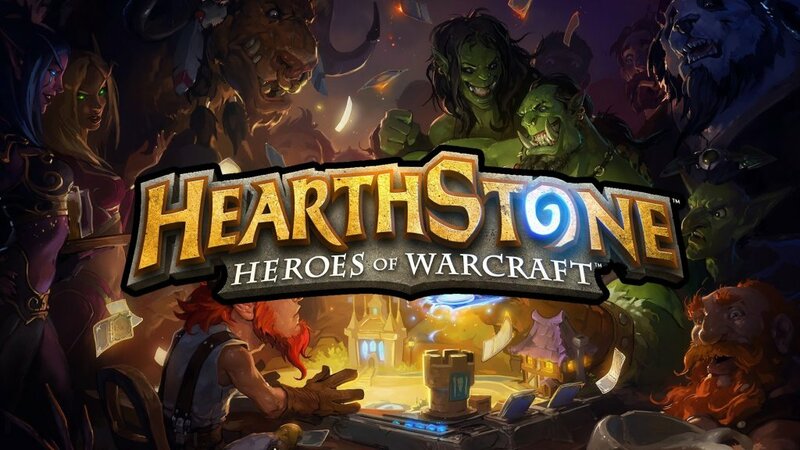 I’ve already gone over the quickest ways to earn gold and card packs when starting out in Hearthstone, but that doesn’t mean you should neglect the set of Basic cards that the game starts you out with. Just because they’re free doesn’t mean they’re weak and some of them will remain staples of your decks even at high levels of play. These are the ten best cards that you can start working with from the beginning and will get you the best results. How useful the Darkscale Healer is to you will depend on the deck you’re building. Darkscale isn’t going to have much of an effect in decks built on aggression and focused on taking out the enemy hero as quickly as possible. If you’re going for a lot of tanky minions with high health, on the other hand, then Darkscale is definitely worth having. Knock around the enemy minions and then drop Darkscale to recover from the damage. Combine that with a 4/5 stat line for 5 mana and you have a great minion for decks built around controlling the board. Darkscale also heals you and can be a lifesaver in a pinch. With most decks, you’re going to need some late-game punch to keep up with your opponent. Boulderfist Ogre is one of your best bets for filling that role when you’re just starting out. With a 6/7 stat line for only 6 mana, Boulderfist is a very tough minion that can easily take down several smaller enemies and still keep going. Bring out a bruiser like this and your opponent will have to find an answer to it or quickly fall behind. It probably won’t be long until you start swapping him out of your decks in favor of rarer, more technical cards, but he is a fine pick for your early days. In the right deck, this card can be terrifying. The Gurubashi Berserker continuously grows more powerful the more damage it takes. Mages and Warriors have ways to carefully damage the Berserker themselves and ensure its growth when it’s most critical. Priests and Shamans can be even scarier with their abilities to heal it and keep it in the game longer. If played tactfully, this Basic card can be as devastating as a legendary. Any deck you build is going to need some method of card draw in it. If you can’t refresh your hand, you’ll quickly find yourself starving for resources and unable to deal with your opponent’s plays. Gnomish Inventor is a decent 2/4 minion that also adds a new card to your hand. At 4 mana, she can be a bit of slow way to play, but she is tough enough to do some work on the battlefield while also keeping your supply of cards strong. Charge minions like the Wolfrider are very quick plays that serve you well when you need to make a move immediately. In control decks, he can act like a living spell that will instantly bring down an enemy minion with 3 health or less. In aggressive decks, he can help break through tough taunt minions or just smack the enemy hero around. Just remember that, with only 1 health point, your opponent won’t have a hard time getting rid of him and you need to think of how to get the most out of him. Poor Shieldmasta. He used to be one of the most popular cards in the game back in the vanilla days. There wasn’t a single deck that went without his reliable protection in the mid-game. Then the Plague Quarter introduced Sludge Belcher into the game and everyone starting running that instead. Still, Shieldmasta is the best taunt you could ask for prior to picking up the Naxxramas expansion and can fit comfortably into any deck you want to build. While Booty Bay Bodyguard and Lord of the Arena may look tougher, they’re actually much easier to deal with at the points in the game that they come out. Check out the Shieldmasta and he’ll keep you and your minions secure. Just… Tell him I said ‘hello’… I miss him. The Shatttered Sun Cleric can quickly turn the early game in your favor. Once summoned, a different minion of your choice will gain 1 attack and 1 health. A friendly minion that would have only matched what your opponent played or wasn’t tough enough to bring it down in one shot can suddenly grow more powerful and give you control of the board. The Cleric also scales fairly well into the late game with how versatile her buff can be. The only downside is that a 3/2 for 3 mana is a little weak on its own, but her buff easily makes up for it. Ooze is good simply on the basis of being a 3/2 minion for 2 mana. Having around four to six of these is a general rule of thumb as they can trade evenly with any other 2 drop and can even take out most 3 drops. It’s ability to destroy your opponent’s weapon is just the icing on the cake. This battlecry is fairly situational given that some classes, like Mage and Druid, don’t even have weapons available and the battlecry may as well not exist when the Ooze is played against them. Classes that do rely on weapons, like Warrior and Rouge, require you to time the use of your Ooze in order to take away the most threatening weapon you can. Getting the most out of the Ooze can be tricky, but its solid stat line means that you have nothing to lose by throwing one or two in your deck. This will often be your big finisher for your early decks. Stormwind Champion turns a mildly threatening board into a powerhouse and can lead you to victory. His boardwide buff requires you to have a line of minions ready to strike, but the effects can be devastating. Keep in mind that the buff is tied to the Champion and your minions will return to their normal stat lines if he is killed. That said, if a buffed minion’s health is at its natural maximum or less when the Champion dies, its health will not be reduced. With a 6/6 stat line, the Champion isn’t too easy to take down, either. Chillwind Yeti is the single most balanced card in all of Hearthstone. Whenever you’re trying to determine how useful a minion is, this is the card you compare it to. Turn 4 is actually considered to be one of the most crucial points in the game simply because it’s the turn that the Yetis come out on. With a 4/5 stat line, the Yeti can easily sweep up early minions and still keep going for more. Most spells can’t even kill it in one hit and odds are good that you’ll take away at least two of your opponents cards with this one. It may seem simple, but that level of power and survivability demonstrates the importance of favorably trading blows and holding control of the board. There are plenty of other cards to discuss, but this should give you plenty to work with for building your first few decks. Stayed tuned for more Hearthstone guides in the future. Happy dealings.